HomeTech completed a project for a private client incorporating multi-room audio, HD video, lighting and CCTV into the remodel of their 5 bedroom apartment Kensington. 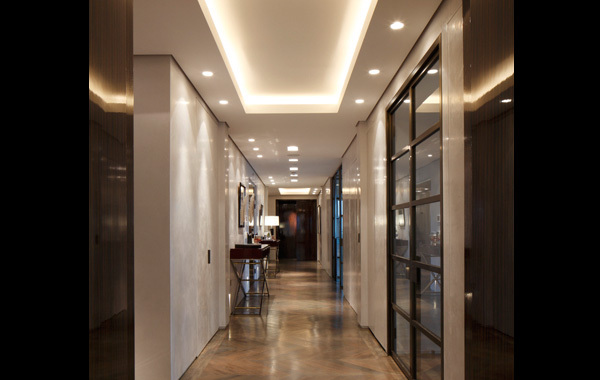 The brief from the client was straightforward; they wanted an easy-to-use control system with an audio-visual system that was discreet, high performing while not breaking the bank. With these points in mind, HomeTech decided on an Elan g! 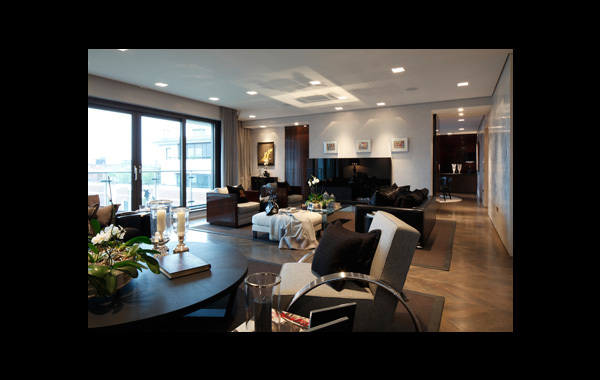 system for control integrated with a Lutron HomeWorks lighting system. 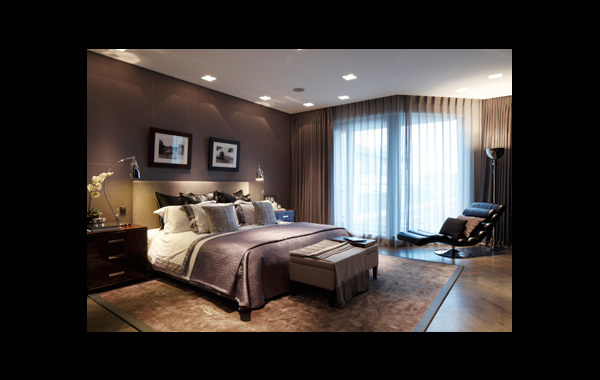 The Elan system offers a simple-to-navigate user interface which integrates seamlessly with Lutron lighting. The overall system comprised of 11 audio-zones with access to shared sources from iPod docks, radio and centralised home media server. 4 TV areas where included with one being a multi-use playroom/sitting and cinema. 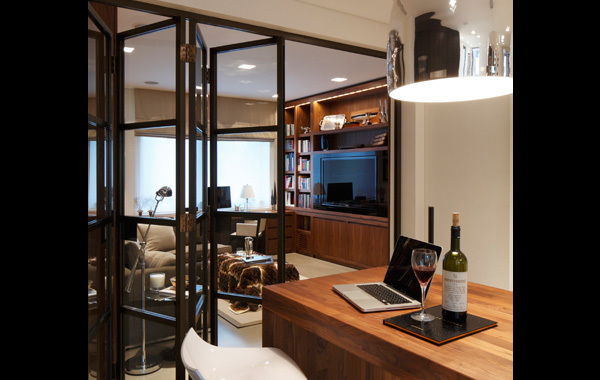 For this room, HomeTech worked closely with the interior designers to integrate the equipment as seamlessly as possible by hiding front speakers and subs with joinery and out of direct sight. A central media server system was requested during the build so a Vidabox Media System was added comprising the main server with one step drop and rip technology along with 2 client players, 1 for the cinema room and a shared house player. In trying to always think slightly out of the box the client came to us with a problem that they need a solution for. They need a way to monitor the baby’s rooms but due to the size and construction of the house normal “off the shelf” baby monitors would not work. So HomeTech offered a solution by installing small network PTZ cameras in the rooms with a small microphone an in-room baby motoring system was created. From any room in the house they can now listen to one or both rooms via the multi-room audio system and from any iPad quickly see what is happening in the room with the added feature of controlling the camera position and zoom.